Greetings! I'm the Department Chair of Social Studies at Chattahoochee and am teaching AP Micro/Macroeconomics, AP Seminar, and AP Research this year. I'm also the head Cross-Country coach and Track & Field coach at Chattahoochee and serve on various committees. I have a passion for Social Studies education and in the growth of the whole-student. I am a graduate of Chattahoochee myself, married a Chattahoochee graduate, and we have four Cougars-in-training. 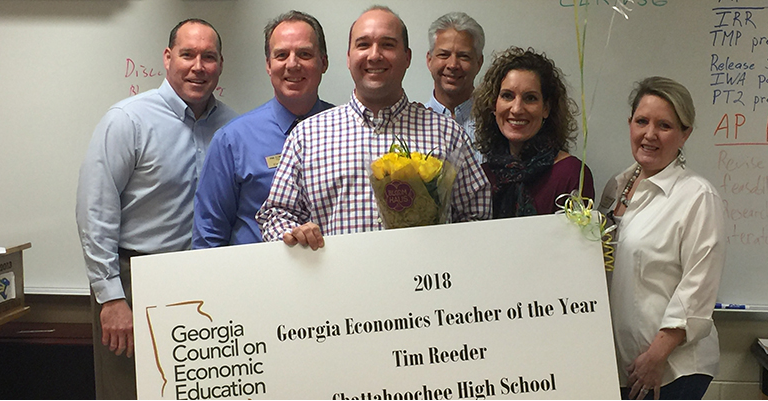 I was recently named Georgia's Economics Teacher of the Year.